The Astrobrights team has done it again! They have come up with a brilliant idea to give teachers all over some amazing tips and ideas for utilizing color in their classrooms. 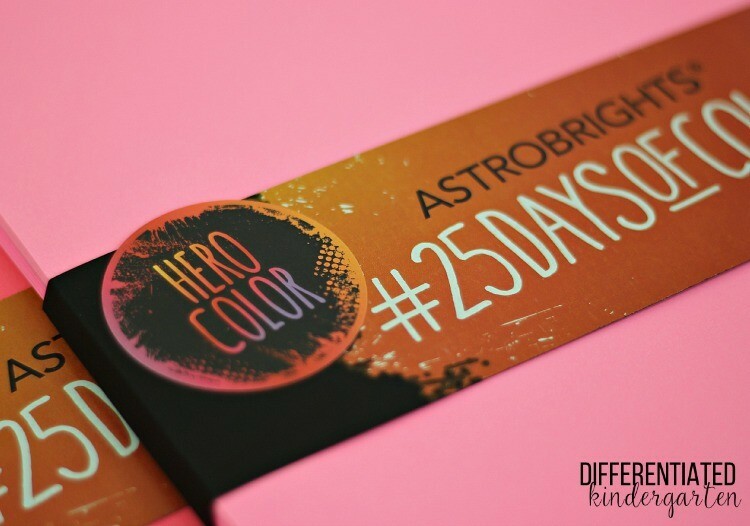 For 25 days, Astrobrights Papers will feature a project using a different color of Astrobrights Papers, providing ideas and inspiration on how to #ColorizeYourClassroom. As part of their 25 Days of Color team, you are assigned 3 different ‘hero’ colors. These are the colors you get to feature. Well, I’m just tickled pink with my three colors. They are certainly attention-getters, and I knew immediately that these colors would be great for that first meeting with my students and their parents! 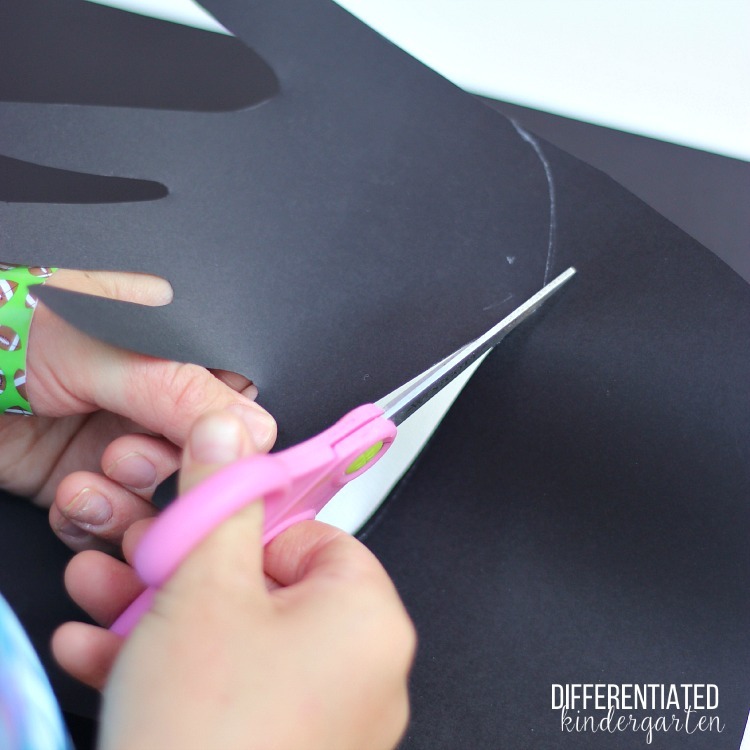 Let me show you how I’ll be using them during Open House in my classroom. 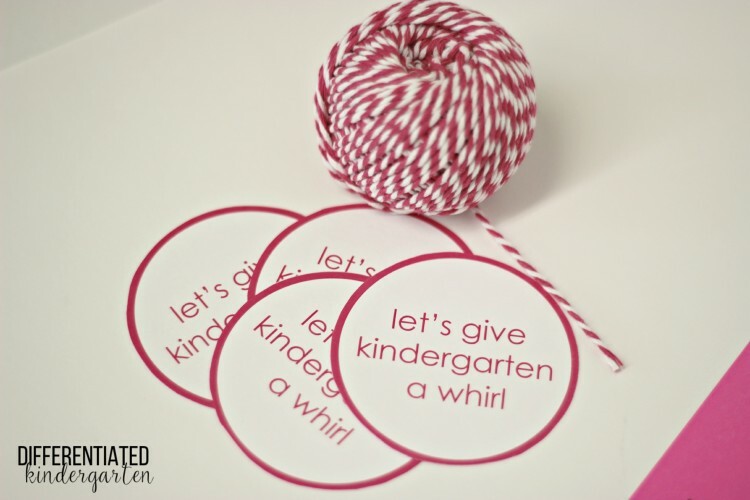 During that first time meeting parents and students at kindergarten open house, of utmost urgency to any teacher is to find out how that student gets home. 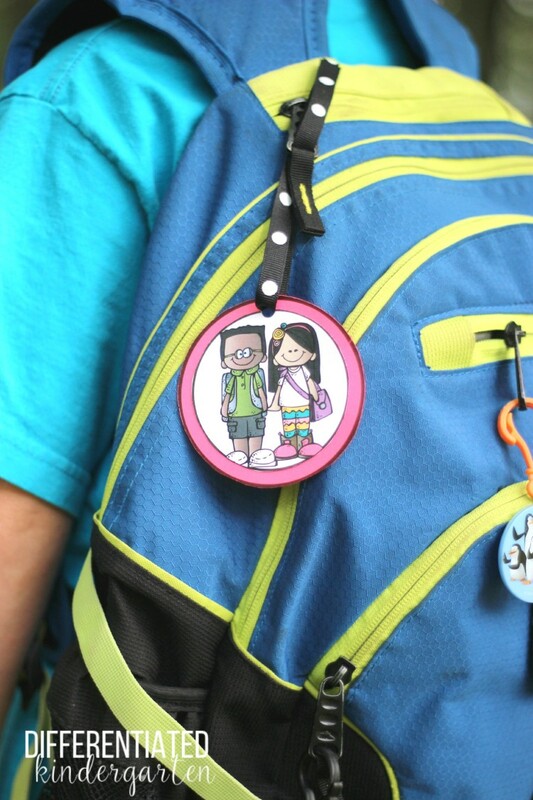 Those first few weeks of school can be a dismissal nightmare if you’re not careful. This is even a greater challenge in kindergarten where students don’t always know how they get home from day-to-day or when they decide one day, out of the blue, that they’d like to ride a bus home, even though they’ve always been a car rider. You know, because riding the bus sounds like fun! 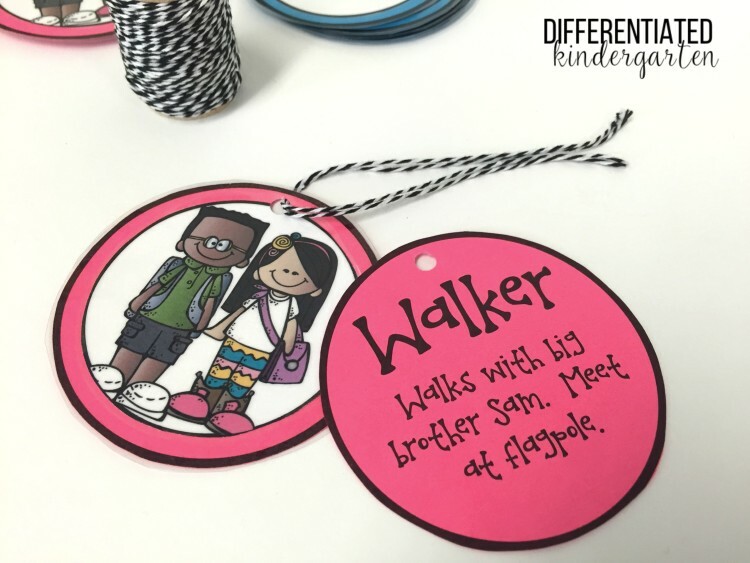 Tagging my students lets me identify students for dismissal much more easily than checking and re-checking paperwork, and by using Astobrights Papers, I can tell how each of my students get home in a simple glance. Walkers wear Plasma Pink! Other modes of transportation utilize different Astrobrights color so that it is easy to distinguish them from one another. Bus riders are Solar Yellow, car riders are Celestial Blue, daycare is indicated by Planetary Purple and after school tutoring is Cosmic Orange. 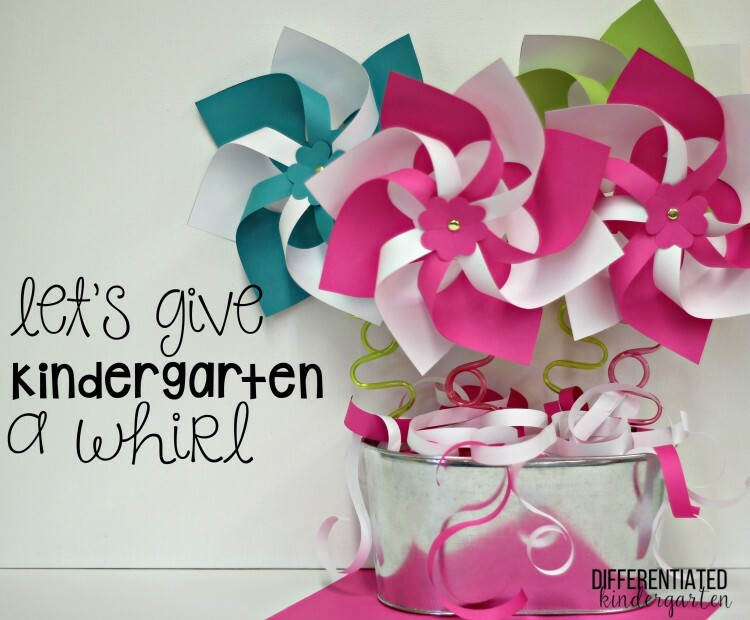 Color paper truly can add creativity to everything in the classroom. Lining up and getting students where they need to be has never been easier. It’s so simple to just attach the tag to a piece of twine, zip tie (not as cute but definitely my preferred method for longevity) or ribbon and place it at the top of a backpack. Easy peasy! These tags even allow you to write notes for special instructions on the back. 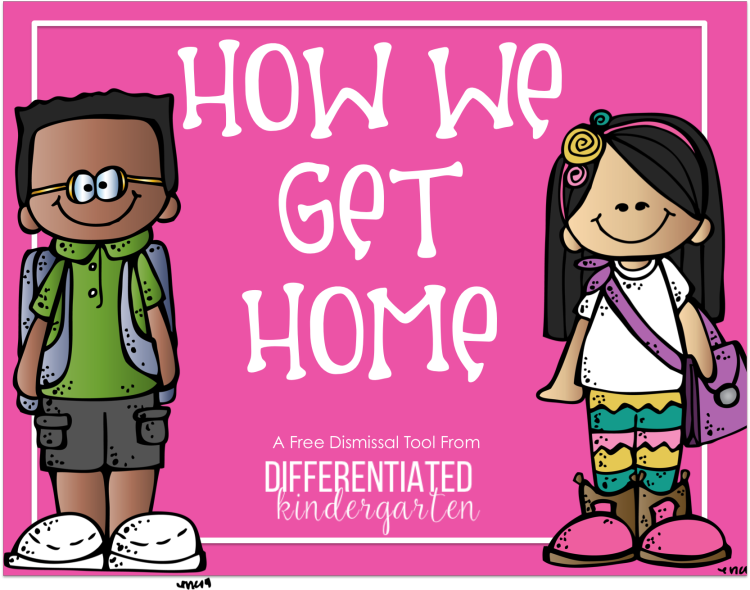 For added convenience, I also have a ‘How We Go Home!’ poster in my class, because, let’s face it, plans change and when they do, I simply move a clothes pin up or down to indicate how students get home on any given day. It makes sense that this poster would correspond with the brilliant Astrobrights colors used on the backpack tags. 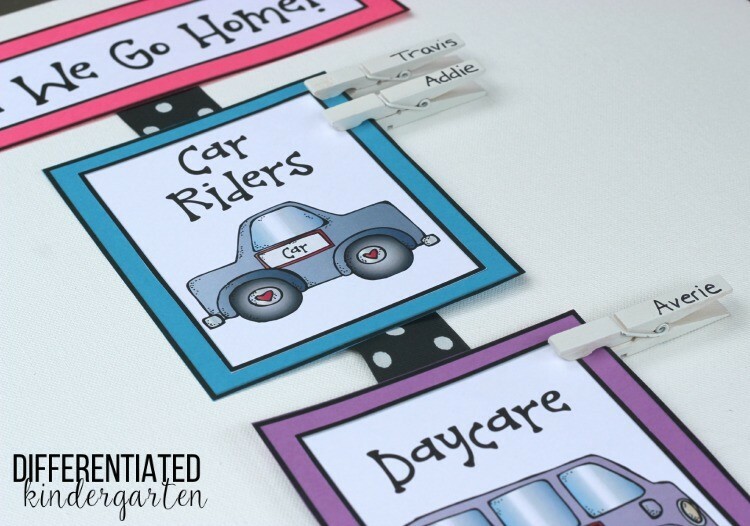 It really is a slick system, and if you’d like to pick up a copy of these color or black and white FREE printables, you can get it HERE. fr You can also get it by clicking on the picture below or any of the pictures above. During open house, it’s always fun to be able to read to my new students that First Day of School favorite, The Kissing Hand by Audrey Penn. Any elementary teacher knows the story of the frightened little raccoon that doesn’t want to leave his mother on the first day of school. It’s offers a great segway for parents to talk to their children about how they might feel heading off that first day without them. Afterwards, a parent and student craft usually allows some time for me to visit with individual students and answer parent questions. When I saw Astrobrights Pulsar Pink, I just knew it was going to be the perfect choice for this activity. I love any activity that is connected to a book, but when I can add a fabulous color to make learning a more fun and impactful experience, then it’s a home run. Plus it was super easy! 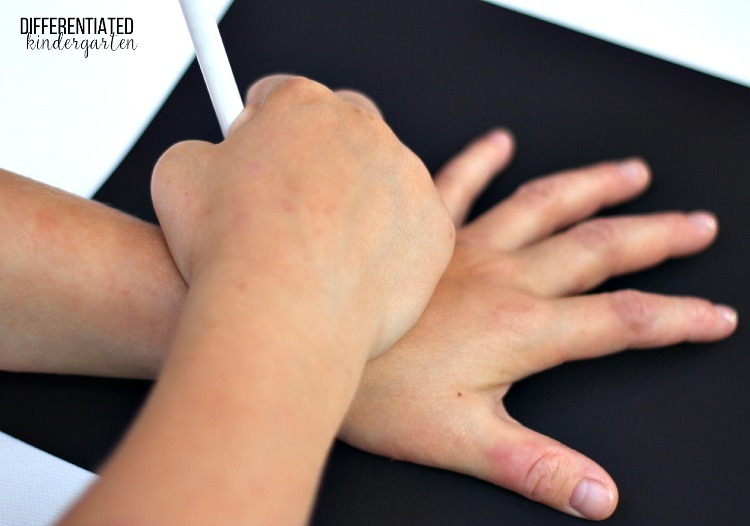 Students simply trace their hand on a black piece of paper. I used Astrobrights Eclipse Black. 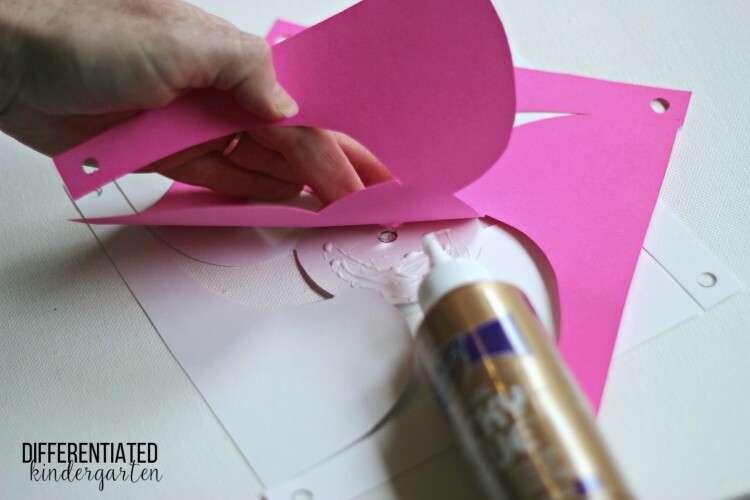 This shape is then glued down onto a white piece of paper. I used Astrobrights Stardust White, because it has these amazing little multi-colored flecks that are really subtle but that can make all kinds of colors really work together. Now comes the fun part! 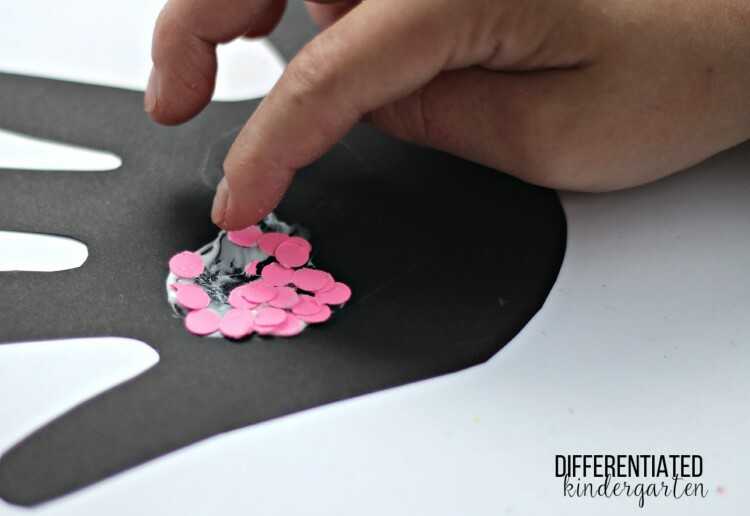 Students use paper punches to punch out little circles. I usually give them a small piece to start with as it’s easier to manage. 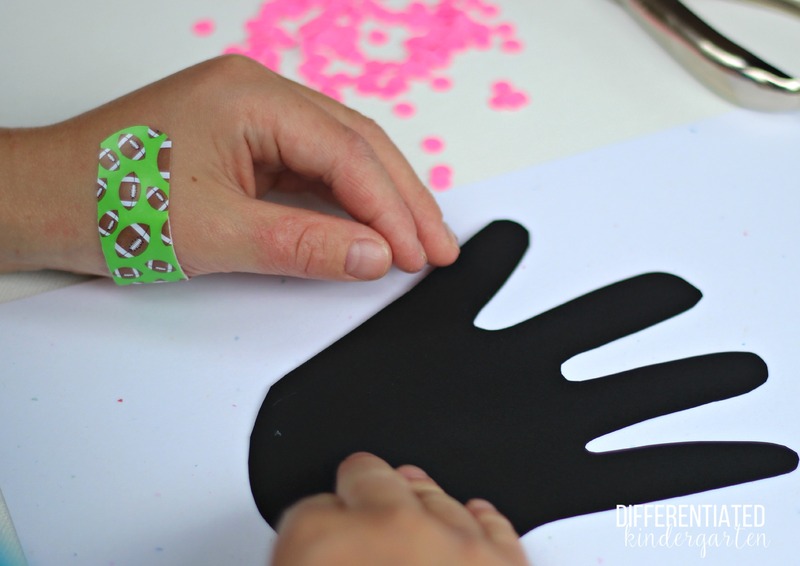 Paper punching is no simple task for some little hands, but it is a FABULOUS fine motor activity, and we use them frequently in my kindergarten classroom. 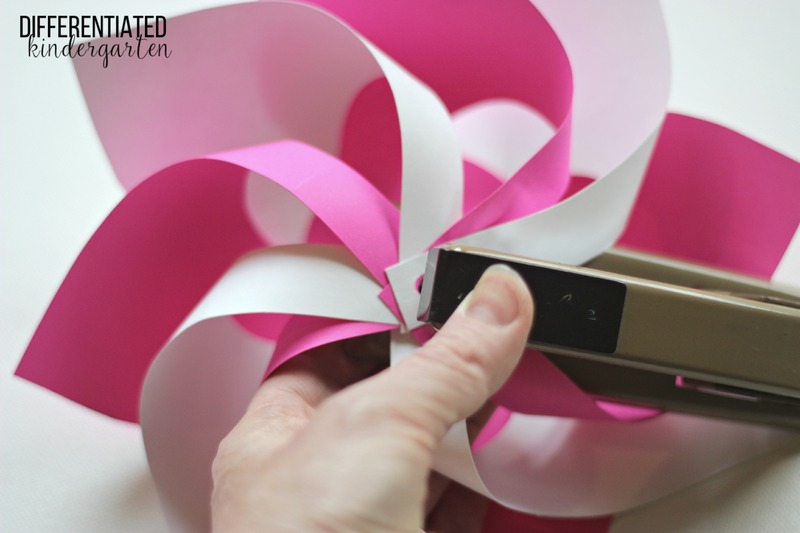 I often have parents say that they had never thought of offering their children paper punches, and they can’t believe how quiet the room becomes when there are a bunch of little ones punching away. Punching paper takes great concentration you know! 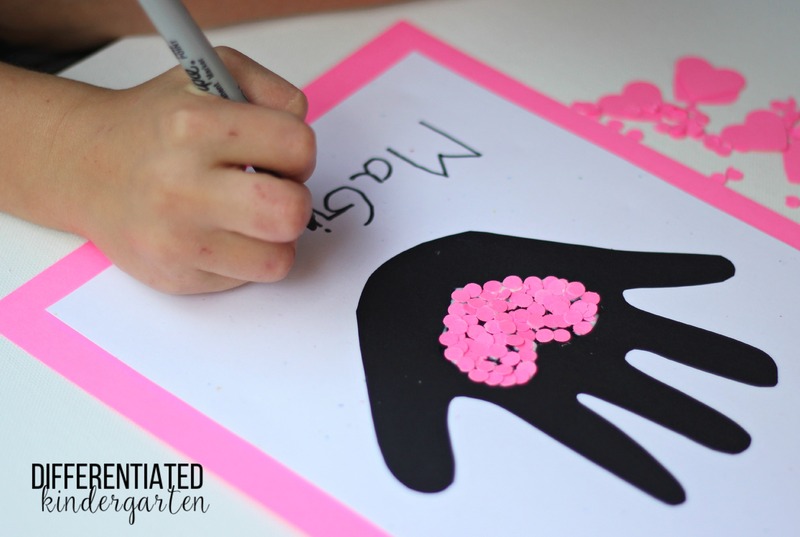 After they have a nice pile of circles, an adult will draw a heart shape very lightly in the middle of the hand and add some glue. 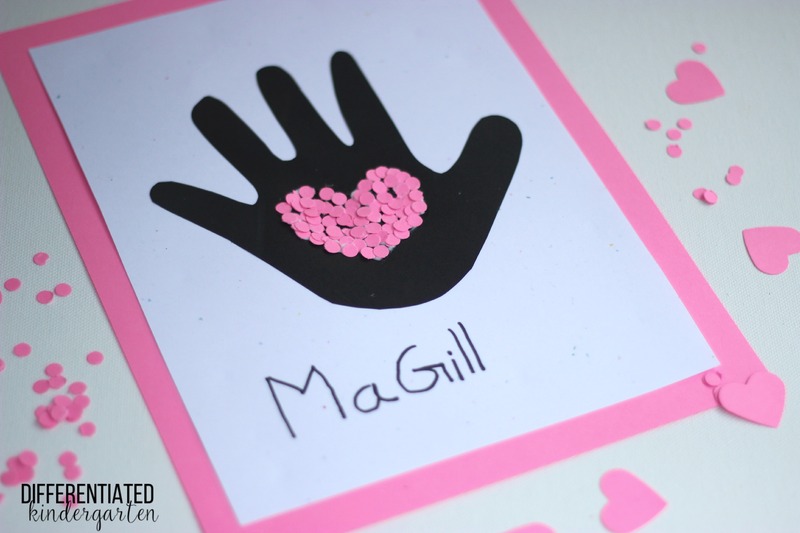 Little finger pincer muscles are used again as they take those little pieces of paper and set them on glue within the heart. The finished product is darling and Astrobrights Pulsar Pink really makes their heart POP! Students sign their work, and when they come in the next morning, they will see their first project on display and remember the story of Chester. Finally, I always want to include a little something for my students to take home with them to remember their fun time during open house. It’s nice to have a little gift that they can show their siblings, grandparents, or friends and think back fondly on that first meeting. 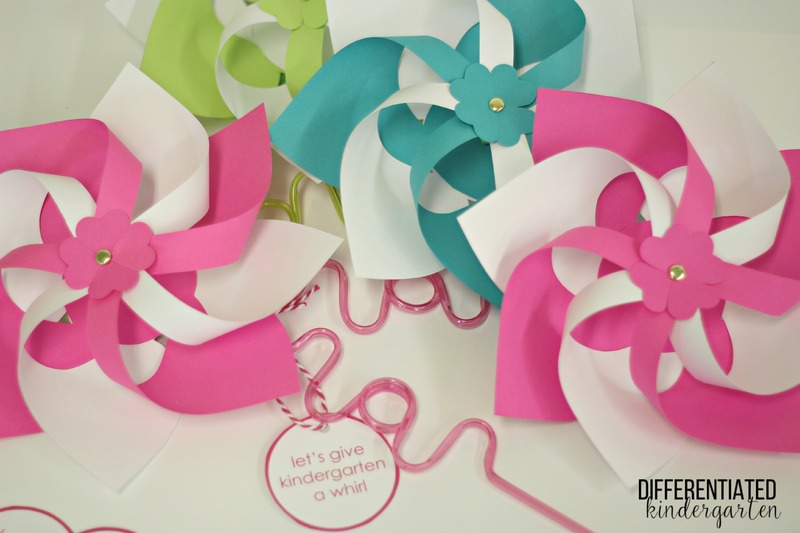 These ‘let’s give kindergarten a whirl’ pinwheels using Astrobrights Papers are going to be perfect. I was lucky enough to find a tutorial and a printable template of how to make them from “Mom Of 5 Daughters.” They’re super easy to put together! 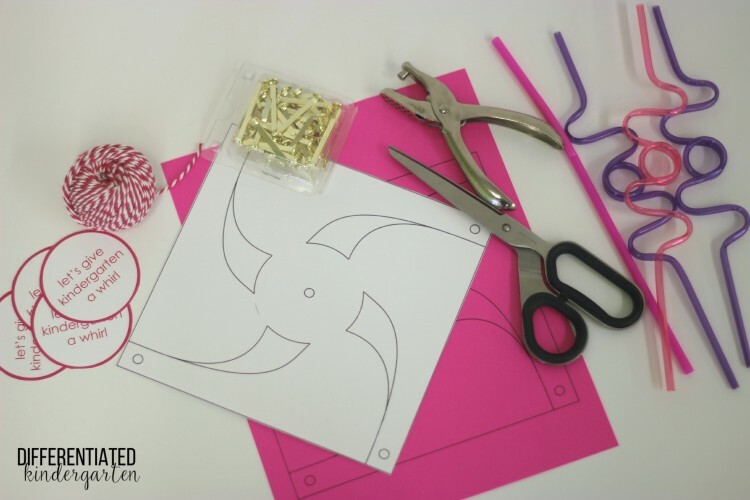 Gather your materials together (you’re also going to need a stapler) and print off a copy of the template in white and Astrobrights Fireball Fuchsia. The tags are something I put together myself and you can get them, too. They are available for grades K-5. Just click HERE or on the picture above to grab them and print them off. Cut your templates out and use your hole puncher to remove the holes as indicated. Next, glue the middle pieces together . . .
make sure they line up and are centered. Now pull the papers out in front of each other alternating between colors. I then used a chopstick to string the holes together so the colors alternated. 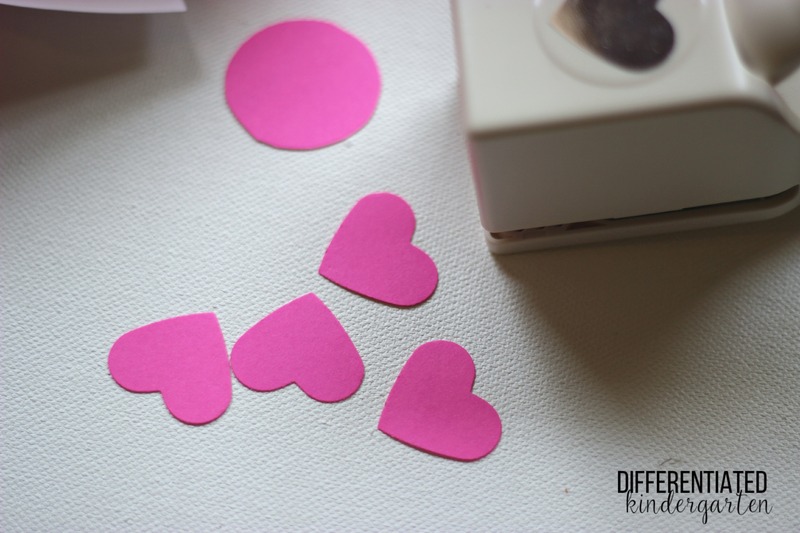 Now you will need to have a small circle and four hearts. 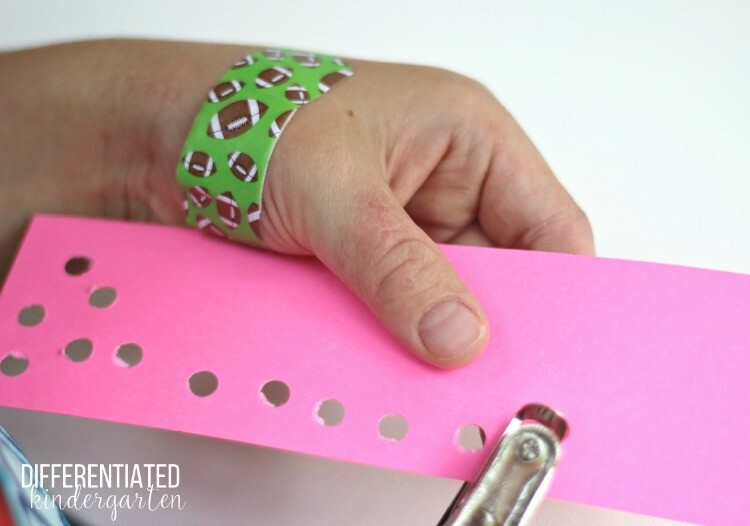 I used a paper punch that I had from another project that worked great, but you could just make your own as well. 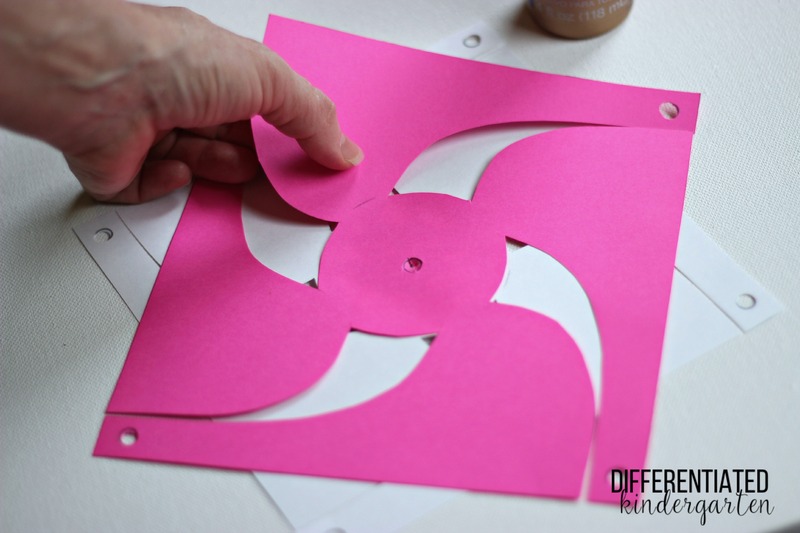 These are going to be the glued onto the circle to form a flower shape that will be the center of your pin wheel and add just a little bit of ‘something more’ to them. 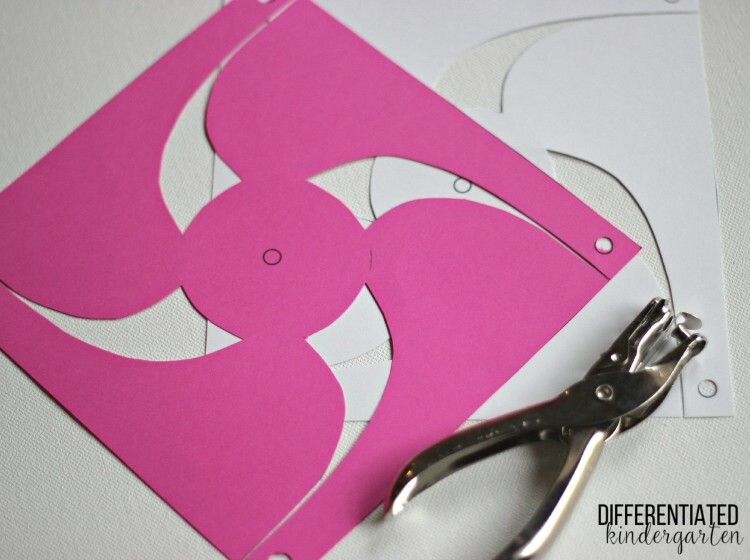 Use your hole punch to place a hole in the center. Now for the mechanical part and putting it all together. Cut a small piece of the straw utilizing a bit of the bendable part. Take one of your brads and open it a bit as shown. By doing this, it will give it a nice tight fit into your straw. 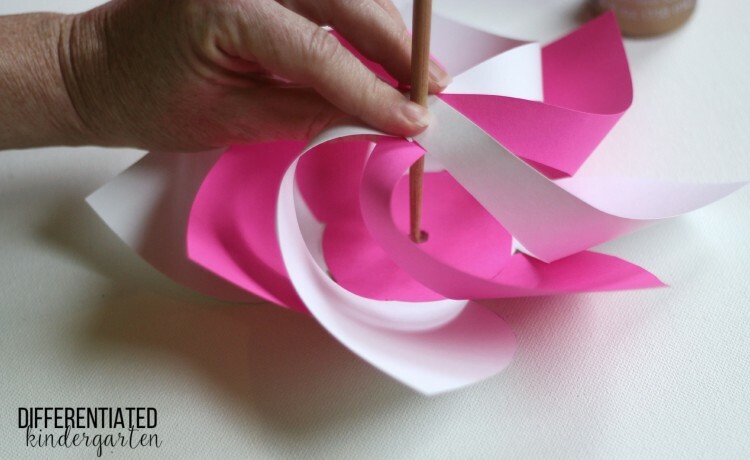 Before inserting it into the straw, run the brad through the heart flower and then push in the end. The straw is then laced through the ‘wheel’ part of the pinwheel . . .
. . . and laced through to the back. All you have to do next, is place it on something tall and skinny. 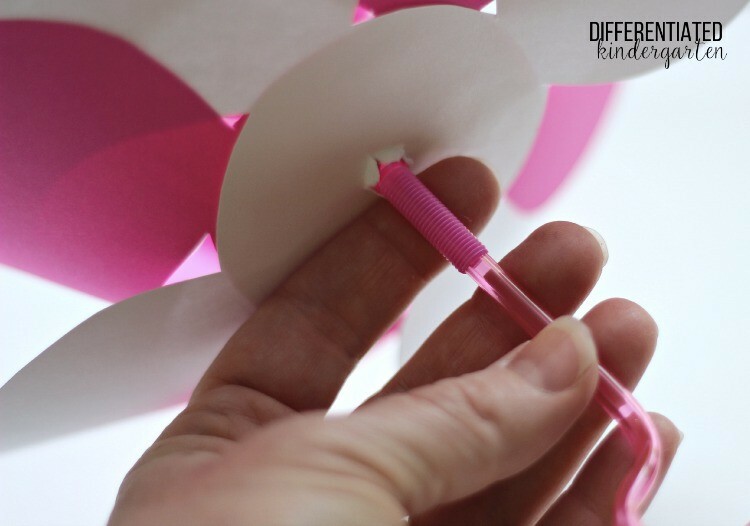 I chose to use a silly straw, because they add just a little bit more fun, but you could use a glow stick or just a regular dowel and it would work the same way. 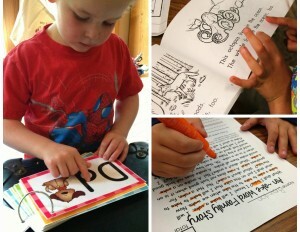 The results were so fun, and I just know they will be a hit with my new little friends arriving in my class this fall. For more ideas on how to Colorize Your Classroom, be sure to follow #25DaysofColor and Astrobrights Papers social feeds. Post your own project using Astrobrights Papers with the hashtag #25DaysofColor and #ColorizeYourClassroom for a chance to be featured as the Colorize Your Classroom project of the week. I can’t wait to see all the wonderful ideas and projects you come up with for your own classroom. It’s Going To Be A Bright Year! Give Your Year A Bright Start — with Astrobrights’ Colorize Your Classroom Contest! LOVED the bus freebie!!!! Cant wait to update mine! Wonderful ideas! Hey Marsha, I follow you on bloglovin’ and have not been receiving your blog posts in my daily feed. Just wondering if there is something special I have to do in order to keep seeing your posts. Seriously!? Uggh. Ok, so a quick fix is to make sure that you sign up with my via email. That way you can get posts via email if all else fails. But in the meantime, help me out if you will. Can you tell me when the last time you saw one of my posts on bloglovin. I mean has it been like 6 weeks or just a couple of days? I do have a new wordpress blog so there are some changes that have been made, but if my feed has completely disappeared from bloglovin’ I need to let my webpage guru know. Thanks for your help. I am trying to download your dismissal packet and it is not allowing me. Can you help? Try again and let me know if you’ve gotten it. I had the same issue with Bloglovin’. The last one in my feed is May 11th. I started following you on Facebook so I could keep up with your posts. Thank you for all of your great ideas! 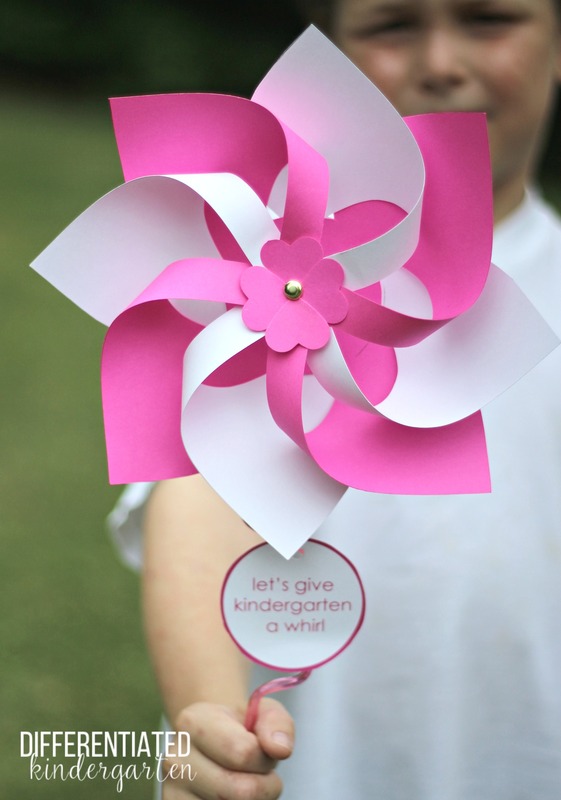 I think I may use the pinwheels as a bulletin board to kick off the year and then send the pinwheel home with my Kinders! The last post on bloglovin was may 11. I already follow, but it is on my school email that I cannot access in the summer. Thanks! Thanks for letting me know Debbie. I have my web guru on it. 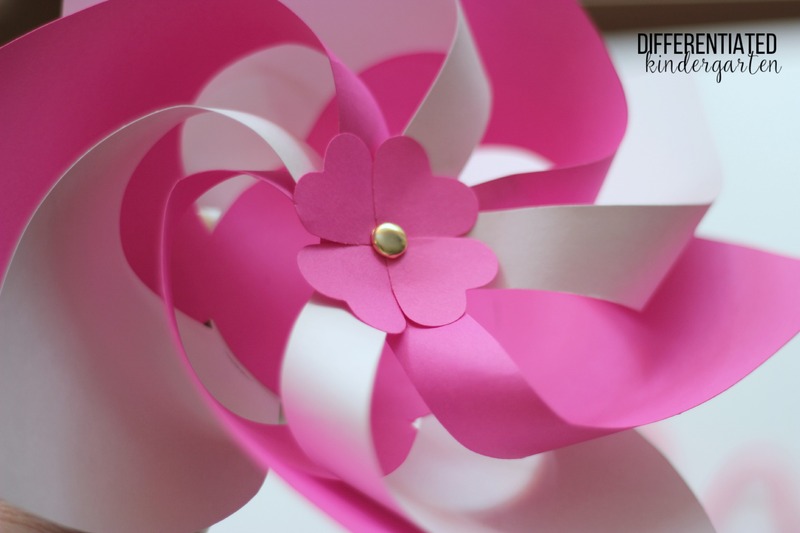 Love your blog and all of your ideas and creations! 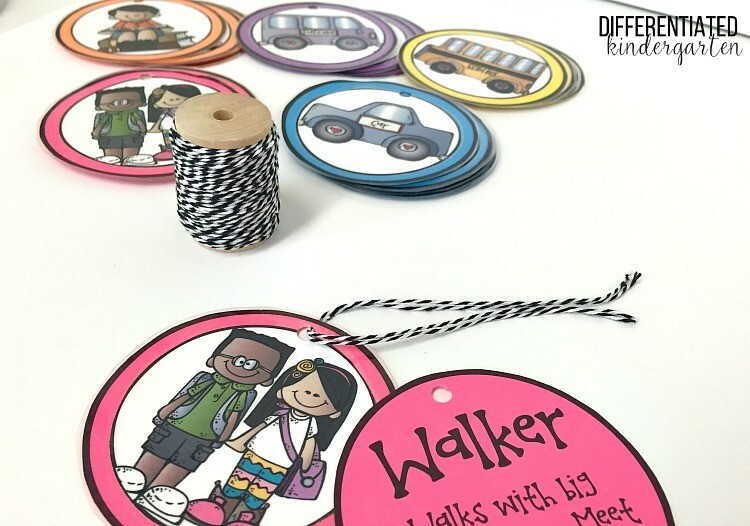 Do you use something other than scissors to cut out circles like the circles for the dismissal tags? I used scissors but you can use a circle hole punch I guess.